This year the weather has been so nice in Edmonton, AB. It has just started getting cooler. It hardly feels like winter but now that December is here I figured I should do some Winter / Holiday nails to get me in the Holiday Spirit. This design looks like it would take a lot of skill but in a few steps it can be done. 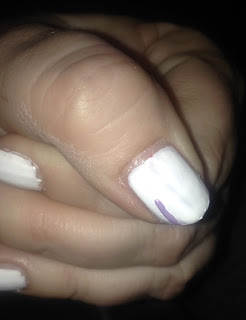 I used a toothpick for my nail art tool but if you have a nail striper that is great too. The great thing is that it doesn’t have to be perfect, the lines don’t have to be super straight. Some of the steps are optional because it adds definition to the design but is completely optional. Apply a base coat to help protect the nails. 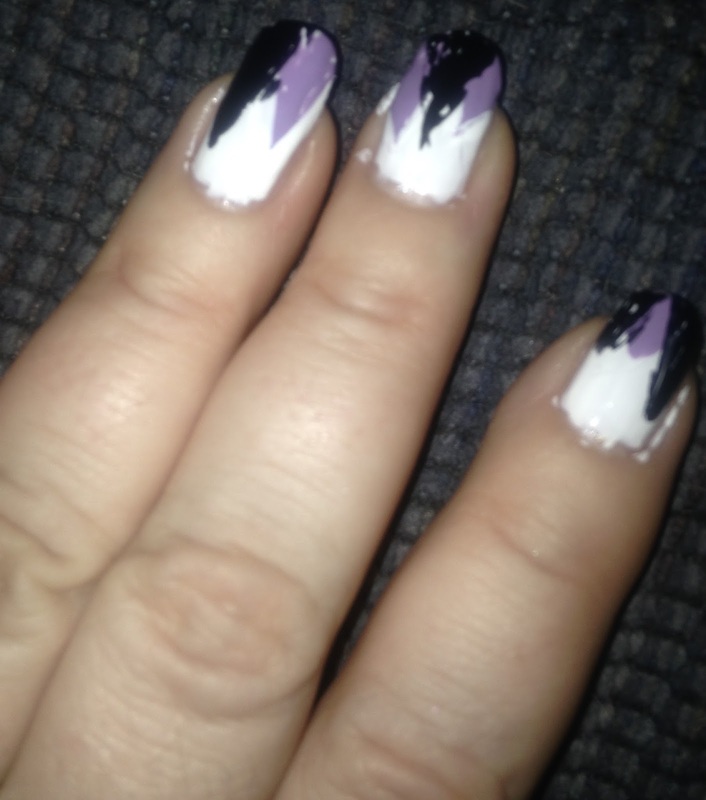 Apply White base color. Let dry completely. Using a light blue nail polish, apply 2 – 3 triangles on the nails. This represents trees. Using a black nail polish, apply 2 – 3 triangles in between or overlapping the blue triangles. This will give definition. 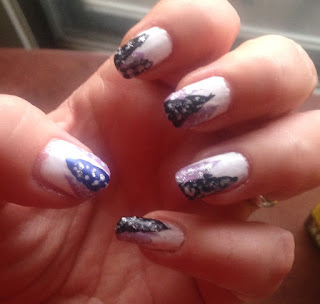 Using White nail polish with very little nail polish, apply small dots and lines to the triangles representing snow. 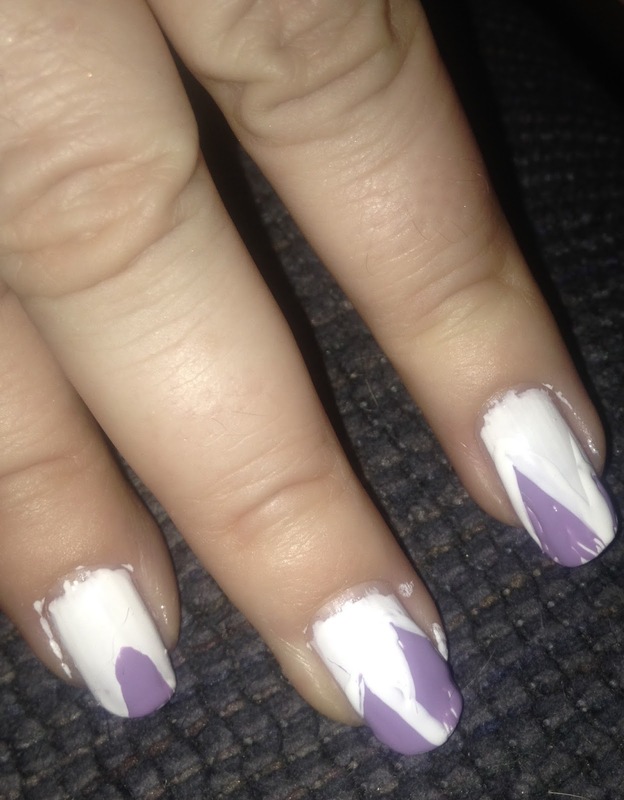 Optional: Use the same technique with Silver or Glitter nail polish. To give it a velvety finish, apply a Matte Top Coat. I thought it looked really pretty!